Sierra Concrete Resurfacing can provide residential decorative concrete resurfacing services that can do wonders for your home. Our services for residential concrete include very intricate work that can add an entirely new aesthetic element to your home. Decorative concrete typically finds a place in entryways, important hallways in a room and in exterior spaces where you want to make an elegant impression. We can provide you with a concrete design that is complex, matches the aesthetic you want for your home exactly and that greatly enhances the concrete flooring that you have put in. With the right custom concrete work, you’re flooring becomes something aesthetically pleasing in addition to something that is very practical in terms of durability and safety. With the right concrete finish, concrete flooring can be durable and can provide a surface that is safe to walk on in the vast majority of conditions. Residential concrete can also be crafted utilizing green technologies. We pride ourselves on using green building products whenever possible and can work with you to make certain that the concrete flooring we provide you with matches your requirements in this regard. Custom concrete work can make an estate home look even more elegant and can make a very simple home look quite upscale. Having residential concrete done by a professional and having custom concrete designs incorporated into it is something that people definitely notice when they come by your home. 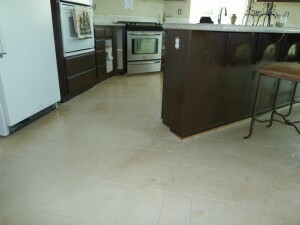 Our residential decorative concrete resurfacing services may be just what your home needs to give it a classy makeover. Talk to any of our representatives and they will be glad to tell you how we can provide you with concrete flooring for Sacramento and Bay Area homes. That goes above and beyond what you may have expected and how we can resurface existing concrete to give it an entirely new and updated look.